There’s no way around it: dry hair, by definition, requires intense nourishment. Due to its curly structure, the sebum can’t naturally spread along the length of the hair. We fill this shortage of sebum with our rich products, which maintain a vibrant softness and vitality in your hair, root to ends. Since your hair is fragile, it reacts immediately to the products you use. And when your hair is wet or damp, it becomes even more sensitive, due to the opening scales. In response to this effect, we have developed a creamy, smooth shampoo with cleansing ingredients that remove the weighing additives of other products with its nourishing and protective properties. To satisfy your hungry, atypical hair, we developed a rich and moisturizing lotion, which, if applied regularly, will keep your hair hydrated. The moisturizing lotion, a true beauty lotion for your hair, will help you to detangle strands, reduce fly-aways and tame the frizz, while keeping your curls soft and smooth. 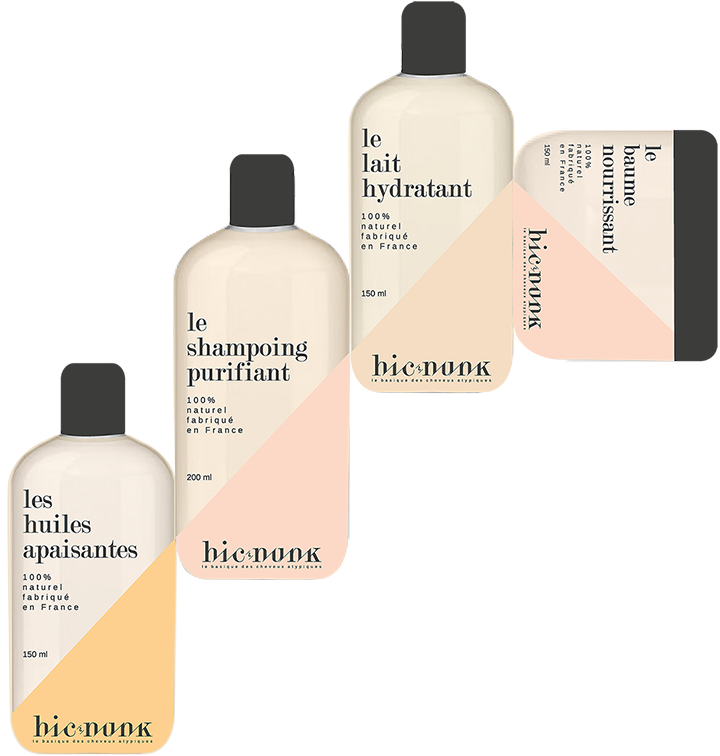 We recommend that you regularly apply our intense care products to your hair. Depend on their protective vegetable ingredients to restore your hair structure when it’s damaged, and to keep it healthy afterwards. The nourishing balm, a rich cocktail of vegetal butters, will help you to bring out and enjoy the natural beauty of your hair.